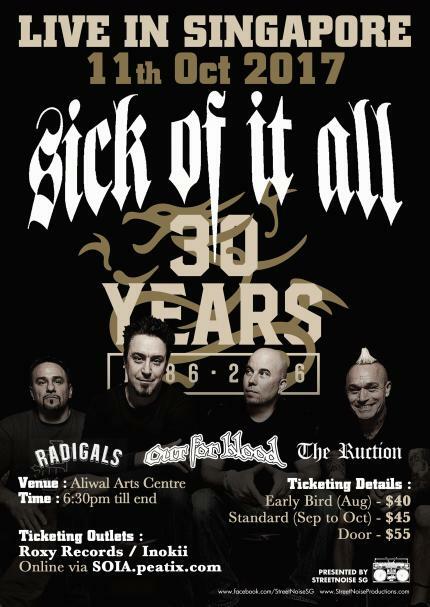 SICK OF IT ALL (NYHC) - Asian Tour 2017 - Singapore, 11th October! Continuing their 30th Anniversary (1986 - 2016) celebrations, the boys will be heading back to Singapore on their first stop in Asia! Our very own local boys and girls will be part of the celebration come 11th October 2017!